Additionally, mesenchymal stem cell (MSC) scientific publications have increased in number EVERY year since 1992. That is 26 years in a row. 17,804 of those MSC articles were released in the last 5 years (62%). 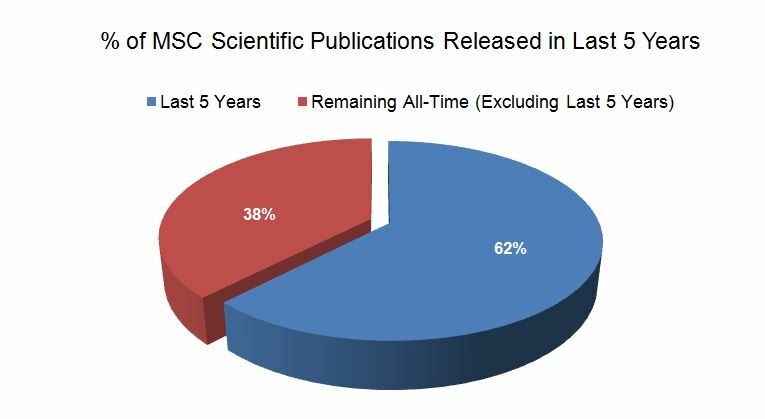 Meaning, two-thirds of all MSC publications were published in the past 5 years, even though MSCs were discovered by Friedenstein and colleagues in 1976. Two-thirds of MSC scientific publications were released in last 5 years. Furthermore, the PubMed “Species” sort function indicates that 15,808 of all MSC publications pertain to “Humans,” rather than “Other Animals” (greater than 50%). This is an extremely promising finding for translating MSC research into therapeutic applications. More than half of all MSC scientific publications pertain to humans, rather than other species.